Up set about too many people using it? Apple today reported that it had trademarked its catchphrase “there’s an app for that”. 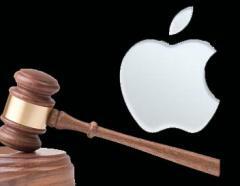 Apple had initially filed the trademark back in December 2009. Interestingly trademark filed in Advertising, Business and Retail Services, Computer and Software Services and Scientific Services categories. The trademark is also applied to retail store services which feature computer software or anything to do with mobile and computer electronics. After the launch of the iPhone and the iPod the phrase became very popular. Apparently Steve Jobs wants to control it! Apple To Possess You With Ping and iTunes!